Giriraj Singh said something gross. He said that if Sonia was an African rather than a European she wouldn’t be the leader of congress. He said it in a typical dehati uncouth way, too. It might be true, but a politician has no business talking about the physical attributes of a lady across the aisle. He was condemned, and rightly. That it was a private meeting is no excuse. A politician should know that there is no such thing as private anymore. But the attacks on Smriti Irani have crossed all lines. First let’s admit a few things. She is aggressive. Even off-puttingly so at times. She is full of bluster and she revels in scoring points when questioned, rather than giving the answers. Also, this bluster is not backed by a record of achievements that makes it okay. None of this excuses the vile attacks in public. Congress youth president asks her “kya dikhai kalaa jo Modi hue deewane” on Twitter. In public. Meant to insult. Another politico calls her a “TV pe thumke lagane wali”. Then a journalist asks her sneeringly what does she think Modi sees in her. Really? You have the gall to ask that to a central minister just because she happens to be a woman? 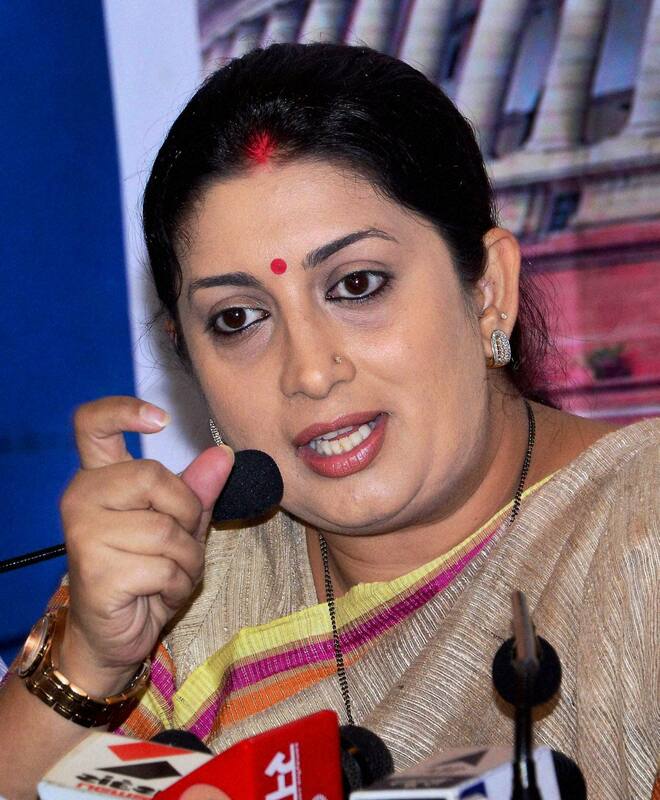 Smriti Irani is in politics since 2003. She is an ambitious, sharp lady. She loves taking on challenges. Just compare her to the post-fame career of other TV actresses. Look at all other actors, film + TV combined, and you will not find anyone else with even a fraction of commitment, or wit. This lady has made a place, and thats just unpalatable to those who can’t bear that a lady, much less an actress can achieve things they can only dream of. When she appears sharp, and takes no nonsense, when she stays involved in Amethi even after losing, when she makes life hard for the self proclaimed stalwarts of academia, attacks begin. #SmritiFakeDegree is trending today on twitter. There was a mistake in filing her papers in 2004. Thats the entirety of the case. The form was filled correctly since then. She didn’t submit a fake degree, never claimed he education qualifies her for the job. Education and ministerial office have hardly any relation anyway. Do you remember any such scrutiny of any previous ministers? I don’t. Do you remember young journalists like Anjana Kashyap openly sneering and being aggressive towards any minister in past? I don’t. Have you seen any self proclaimed feminists coming to her defence? No her sins are much greater than just her education, or the lack of it. She is guilty of being a successful, aggressive woman on the right. She will always be seen as wrong. I was recently talking with friends about the weirdness of Lefties, as I so often do. They really are a weird, incomprehensible bunch. In this instance, though, it was to do with their icons. You know, people like Stalin, Lenin, Mao, Che Guevara….. These are all mass killers, who have killed in millions when they rule, and thousands if they didn’t hold that power. When I said that, I drew a blank stare. These guys, these educated, supposedly well-informed people, had little idea of the misdeeds of these atrocious men. I reeled, but then realised why. They have simply not been told about this ever! The news media has been so utterly biased towards left that they simply gloss over anything bad by the communist engines, past or present. I learned all this via my exposure to international journalism. Through my involvement in the precursors of social media: the blogs and the forums. But isn’t it the duty of a comprehensive education to give us that knowledge? Think about it, we keep learning about the umpteen “aandolans” by the pre-independence congress and how we owe all to them, but we have little to no idea what the geo-politics of the world are shaped by. I don’t remember ever reading anything negative about communism in my textbooks. Stalin and his purges led to the death of 25 million people. Thats several times the worst estimates of Jewish deaths during Holocaust. We had no idea. 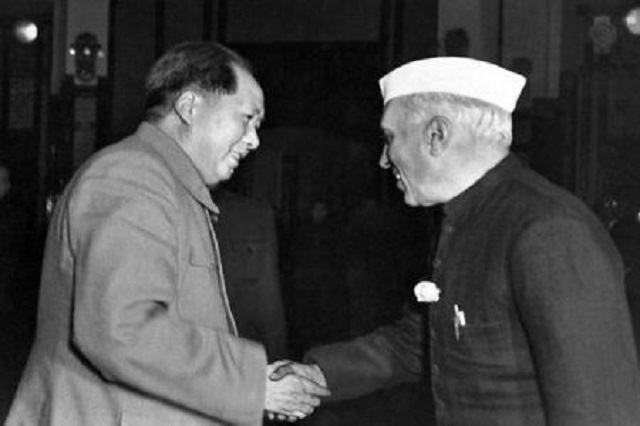 I studied in Kendriya Vidyalaya in 80’s and remember reading about the great prosperity brought to USSR, and about Mao’s ‘Great Leap Forward’ leading to food security for China. I never heard that Mao’s rule led to death of millions and imprisonment/torture of many more. The truth is, Indian academia is littered with cronies of Left, and that reflects in out textbooks. They pit Communism as a missed opportunity, they pit Indus Valley civilisation as a broken link, and they pit Islamic invasions and “Aryan invasion” as equivalent. They exalt India’s “tryst with socialism” as a grand foundation for prosperity….. In short, they are written by the cronies of people in power for the last 60 odd years. Is this arrangement set in stone? Of course not. Of course successive congress governments never have brought in enough right wing voices to bring a balance, though. So is it okay for a centre-right government to bring in more right wing voices? If relativists hold sway in cultural realm, would it be a crime to get some nationalists in? Well, of course according to the left it would. Who is comfortable with their monopoly being broken? They will cry bloody murder, of course. They call it an attempt to Saffronise the education, as if referring to a part of the tricolour is a term of derision. They call it revisionism, as if revising incorrect or incomplete history is a sin. They scream in their shrill voices from their high chairs that they alone hold the keys to knowledge and all need to bow to their superior wisdom. So thats what’s happening. I don’t like fantasies that claim that Indian scientists invented atom bombs, or planes, or mars rovers, but would it be so bad to show the intellectual achievements of Indian civilisation? Whom would it hurt to show that socialism has failed to bring prosperity the world over? Would it really harm the secular fabric too much if the invaders and looters from middle east are called barbarian looters instead of noble rulers? Would it be wrong if people know what the experience of living under a communist dictatorship is really like? I don’t think so. Lets tell those lefties that they don’t run the country anymore. Like the homosexuals embraced the term ‘gay’ in the West, let’s embrace the word Saffron. Not as a symbol of religious symbolism as intended but as Indian centre-right badge of honor. Let them realise that this is a diverse country and diverse views include those from the right. They must learn to respect them more, and worship their mass-murdering heroes a little less. Disappointment. It’s a loaded word. If all depends on context, doesn’t it? It doesn’t mean a failure. Not necessarily. Just look at the Mehras. The son, heir apparent to a business empire, has not head for business. The daughter, expected to be a homemaker, is not obliging by getting pregnant. Their mother is seen as distant and manipulative by her children, and their father’s infidelities are the worst kept secrets of the “society”. The “samaaj” of 60’s has been replaced by the society, but the story is as old as indian cinema: a family drama. Yeah. This is a true blue family drama. Sounds disappointing, doesn’t it? There are times when it verges on melodrama, and the climax is a total contrivance. Worst transgression in my opinion is the voice over exposition. We didn’t need the voice telling us what we need to feel at the moment. But this is not you friendly neighbourhood melodrama. This is drama proper. The parents, trapped by their own facade and the need for appearances, the the grown kids, still trapped by the expectations of their parents. This is a typical Zoya Akhtar film, and therefore its all about being true to yourself, and to the people you love. But mostly about yourself. It’s not selfish for you to run away from the responsibility of inheriting an empire, its selfish for them to expect you to. And as much as this is an individualist manifesto, its also a feminist one. Because feminism, at its core, is all about respecting the female individual equally. The acidic barbs of the mother in law of Priyanka’s character and the condescending, insufferable boredom of her husband are so heart breaking without making them villains. (Except in one unnecessary scene near the end). Similarly the parents, so easily villainies, are simply people grappling with their own problems. Shefali Shah playing the mother steals scene after scene with her portrayal of a woman who’s domineering and vulnerable at the same time. Anil Kapoor is great at playing the man playing at being a patriarch. Petty, selfish, and used to have his way. His acting is pretty good but it’s made even better by his children’s response. Both, especially Priyanka, seem like kids when confronted with him. Beautiful acting. Priyanka only lets her body to relax with her brother and her old flame, played by Farhan in a surprisingly small role. A film about gorgeous rich people grappling with petty rich people problems on a cruise seems like a limited, unappealing concept. It’s made broader by making it universal. The issues are not specific to the rich. This is universal precisely because it’s about the smallest unit: the individual. The comparisons with Zindagi Na Milegi Dobara are inevitable. Both occupy the same space, and that may be a problem. Farhan almost plays the same character in this, and Anushka is too similar to Katrina in the previous film. I compare this to Zoya’s debut, Luck By Chance and miss the delicious ending. But I can’t fail to delight in an intelligent story, brilliantly acted. This is an exquisite venture. Note the song Galla Pooriyan. It’s a single shot dance number with about a 100 moving people. I was mesmerized by it. If her previous ventures were four star, this is distinctly three, three and a half. Gratification and disappointments are all about expectations. I kept looking for a rougher edge here, a sliver of quirk; and the best we got is a spectacled little girl with maybe four lines in the film. All of them brilliant. Bring her more centerstage, and push out the irritating pontification by the dog going on and on about how weird humans are. Then we’ll be talking about something remarkable. So yes, to people expecting the world of Zoya Akhtar and the superb cast, this may be a slight disappointment. But this is not a failure. Not at all.